If you know Bellville, you know Bernie’s. It’s a genuine old-school grocery store with no pretense. Where else can you get a fishing pole with your fresh ground chuck? 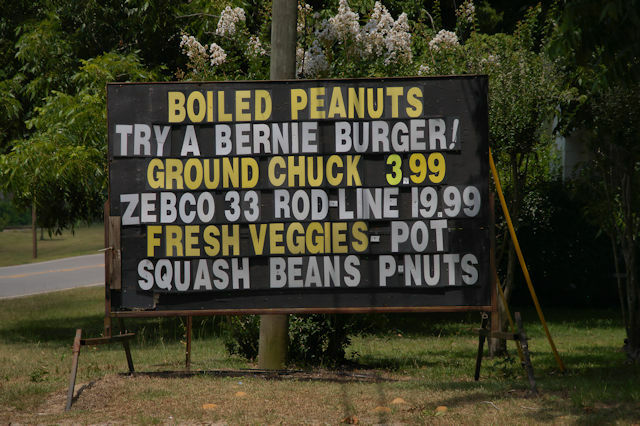 When I lived in Cobbtown, I loved going to Bernie’s just to look a round. Always had to have a Sprite and Reese Cup before I left. My friend Okie Colson always had good conversation to share also. I miss those days and my Tattnall/Evans/Candler Co friends!